Now HALF PRICE! 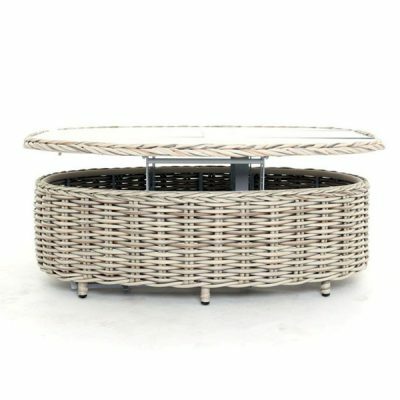 The perfect accessory for any brown cane rattan conservatory furniture suite. 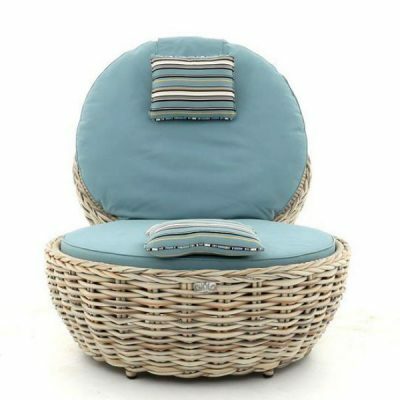 You will love putting your feet up on this lovely Padstow Brown Cane Rattan Footstool. 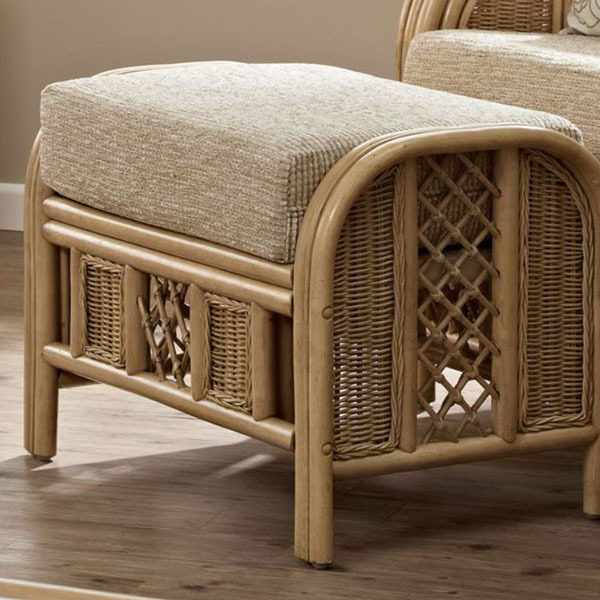 Blending a quality, sturdy cane frame with decorative, hand-woven rattan side panels, this useful footstool offers quality and comfort at an amazing sale price. Choose from a selection of great quality cushion fabrics. 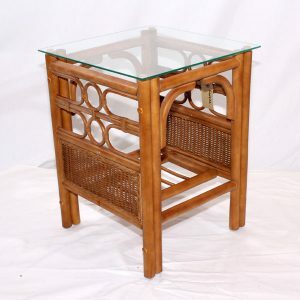 A useful Conservatory Side Table that will match most Brown Cane Rattan furniture. 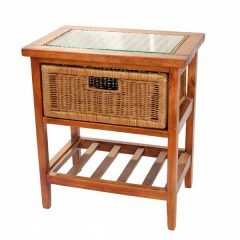 Manufactured in a thick, strong cane the table has a tempered glass top and a handy storage shelf. 25% off. Order today. Last 1 left in stock! 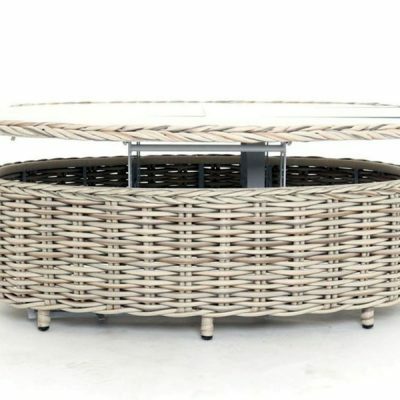 Our Poole outdoor furniture stands out from the crowd with its thick rattan weave. 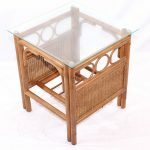 This gorgeous Poole Extending Coffee Table is the perfect blend of rustic and contemporary. 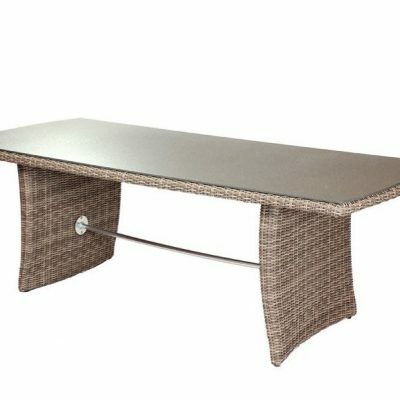 The eco-friendly rattan is completely synthetic so you can use your table all year round. With extending tempered glass top and spacious interior storage. 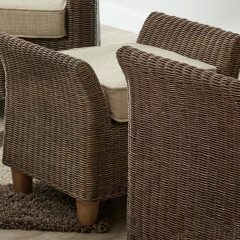 A useful conservatory accessory set that will compliment most natural cane sofas and armchairs – now at HALF PRICE. 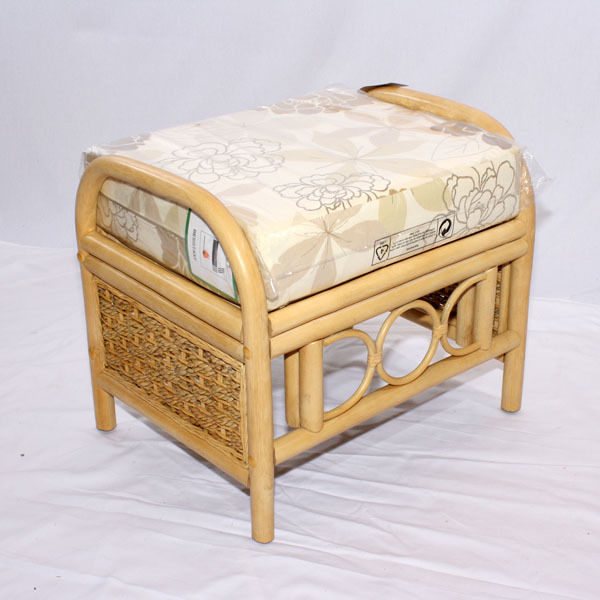 This highly comfortable Emerald Natural Cane Rattan Footstool comes with a luxury cushion with a removable cover. 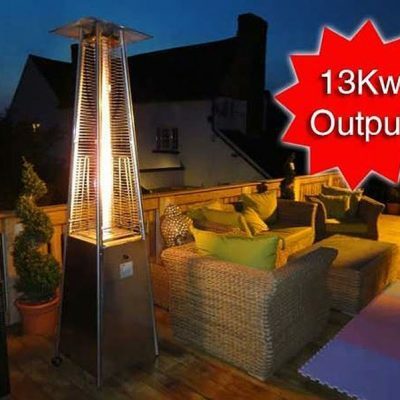 On offer at a special end of line price. Choose from a selection of cushion fabrics. 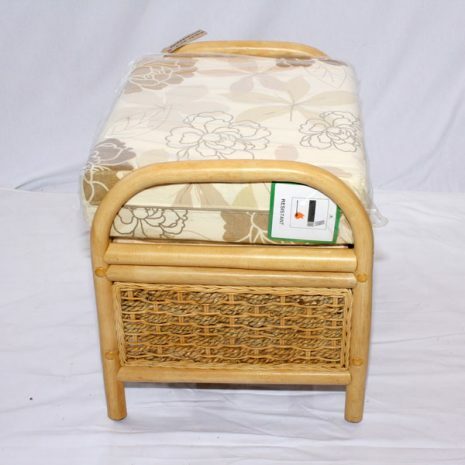 Emerald Natural Cane Rattan Conservatory Footstool. 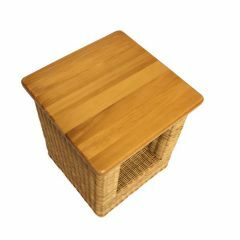 This lovely Emerald Natural Cane Rattan Conservatory Footstool comes with a natural coloured cane rattan frame that will compliment most conservatory sofas and armchairs – and being an end of line item, with just one remaining, we are offering it to you for half price. Manufactured in a thick, strong, cane finished in a natural wash, the footstool has attractive, decorative rattan panels and comes with a plump luxury cushion. 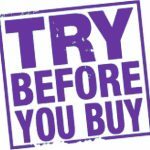 You can choose from a range of cushion fabrics. The cushion is made from thick, firm yet high comfort foam and the cover has a zip to allow for easy removal when ready for cleaning. 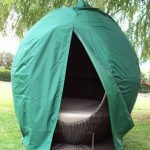 All of our conservatory furniture cushions comply with UK fire retardant regulations. 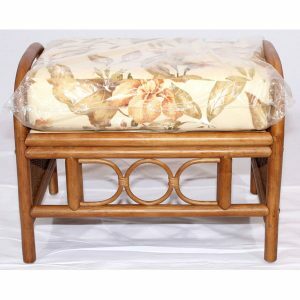 Looking to match this footstool up to a sofa or armchair? 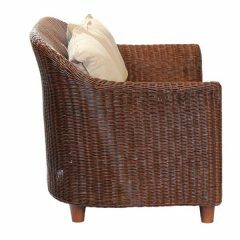 Take a look at our wide range of rattan and cane conservatory furniture. 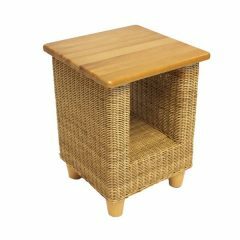 Frame manufactured in quality cane and rattan panels finished in an attractive natural wash.
Frame is strong yet lightweight, making the footstool easy to move around. 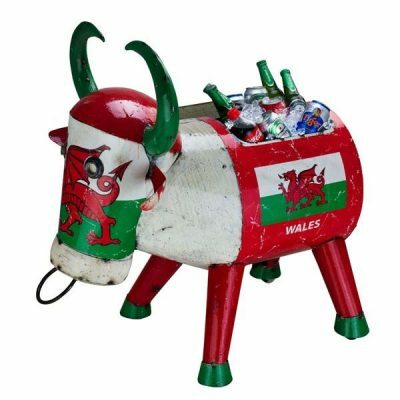 Hand-made by skilled furniture makers. Easy to clean. 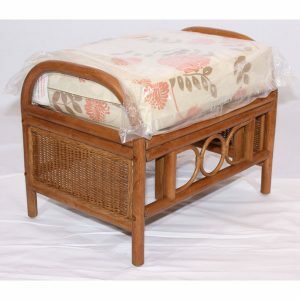 The cane and rattan can be wiped down with a damp cloth. 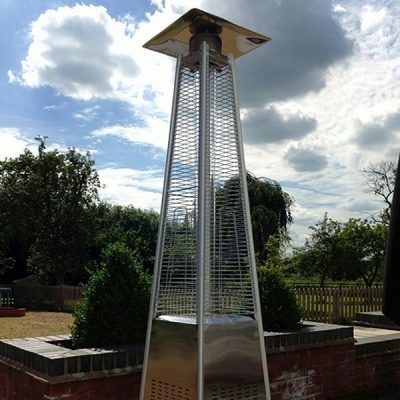 Quality, firm cushion that complies with UK fire retardant regulations. Removable cover on the cushion for easy cleaning. 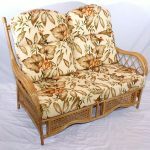 Hi, wanted to let you know that the wicker conservatory furniture 2 Seat Sofa is great quality. Thanks for the quick delivery and great comms. 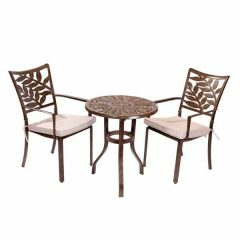 With its delicate leaf designs and cinnamon colouring, this Forest 2-Seater Cast Aluminium Bistro Set looks great whether used as conservatory furniture or as garden or patio furniture. 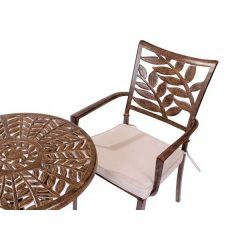 The set comprises two Forest Cast Aluminium Armchairs with free cushions and a 63cm bistro table. 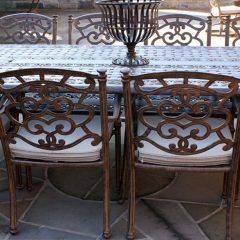 Why not add more chairs and a matching aluminium coffee table or larger Forest metal table to make your perfect bespoke set? 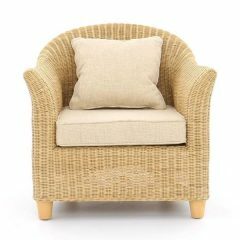 Our Alcester range of rattan conservatory furniture brings quality and comfort through contemporary and compact shapes and designs. 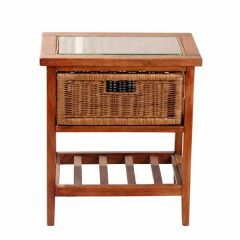 This Natural Rattan Side Table has a beautiful hardwood top and feet and a useful storage shelf. 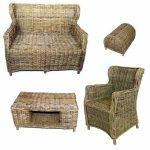 Our Alcester range of rattan furniture brings quality and comfort through contemporary shapes and designs that are compact enough to suit any indoor space. 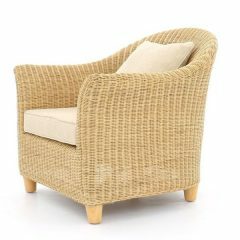 This beautiful natural rattan armchair comes with ‘no sag’ cushions in two fabric choices. 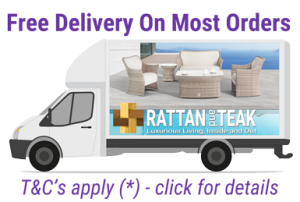 Our Alcester range of rattan conservatory furniture brings quality and comfort through contemporary shapes and designs that are compact enough to suit any indoor space. 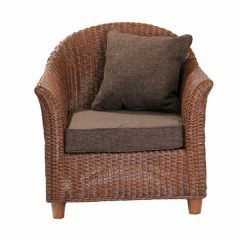 This Brown Rattan Armchair will look fabulous on its own or as part of an Alcester suite. 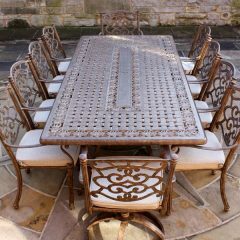 This impressive set includes a large, 2.6m rectangular outdoor dining table and 10 garden armchairs with cushions. 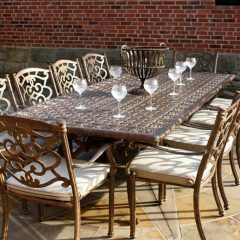 Our Azur aluminium garden furniture range, with its attractive cinnamon colour, will bring to your dining experience elegant patterns and shapes as well as luxury and comfort. 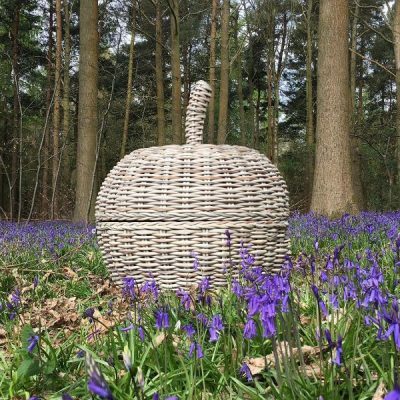 Our Lewes range of high quality conservatory furniture blends hand-woven rattan basket drawers with solid, hardwood frames to provide you with practical and decorative storage solutions. 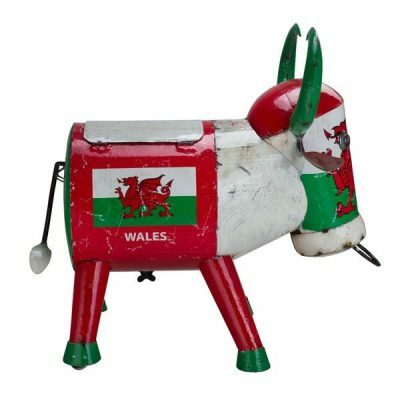 This is a handy little storage unit that will look at home in any conservatory, summer house or indeed in any room in your home. 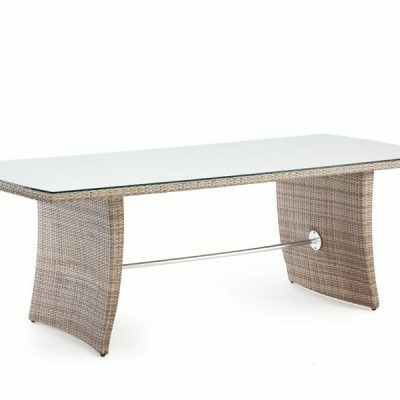 A splendid Large 2.6m Rectangular Aluminium Dining Table that evokes the glamour and elegance of the hotels and casinos of the south of France. 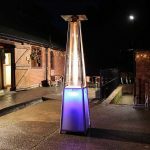 Our luxury Azur aluminium furniture range, with its attractive cinnamon colour, brings elegant patterns and shapes to your dining experience as well as luxury and comfort.